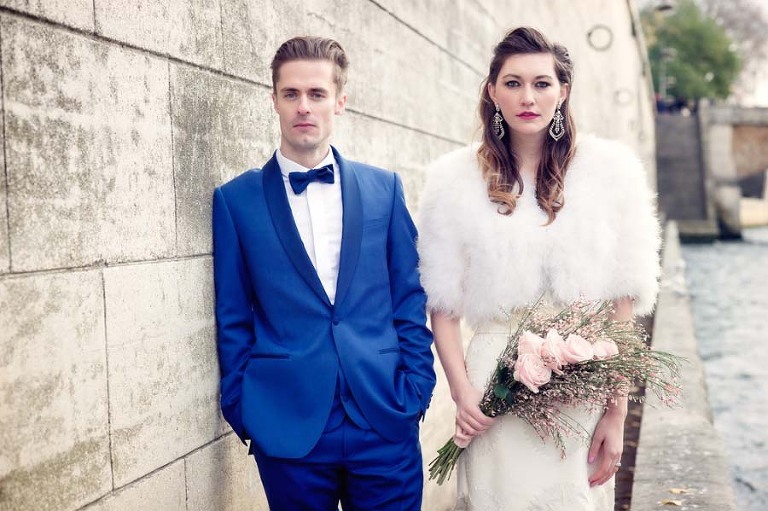 It is always exiting to see our style shoot published in French wedding style. It was a lot of fun producing this series of photographs with amazing vendors who all provide quite exclusive professional services to brides getting married in Paris. Edith from “une fleur en liberte” created a lovely pink rose bouquet for our princess. The bride was wearing a Catherine Herrara wedding gown that “Ma Bonne Amie” kindly selected while “Faubourg Saint Sulpice” dressed up our groom from head to toe! After a very romantic getting ready photo shoot at the newly open hotel Providence, we cruised the streets of Paris in an old classic DS cabriolet with our driver Romain from “Anciennes de Prestige“. 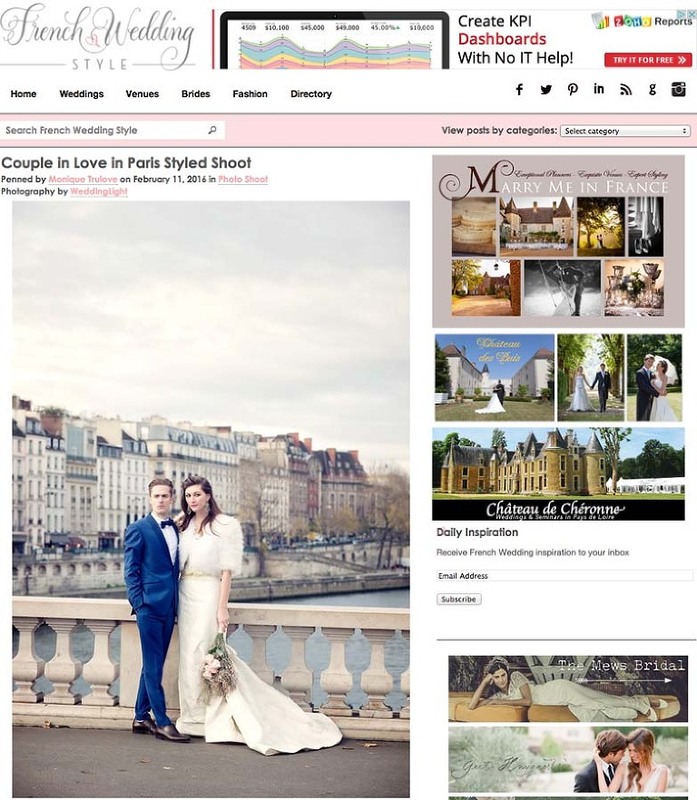 Paris is the most charming background for a wedding celebration as well as a more intimate elopement. There are so many stunning architectural backgrounds to choose from! I hope that those photographs will bring ideas to many brides planning their upcoming wedding in the city of light this summer. Paris rocks and we are so glad to assist our clients in making their wedding dream come true with stylish and romantic photography. Special thank you to Paris wedding planner “WeddingLight Events” who orchestrated the whole day! Faubourg Saint Sulpice have just launched their new website actually. I love their men’s summer collection and the photos; shot in Brittany last fall, the series make me, as well as any distinguished gentleman want to wear a suit every day of the week.